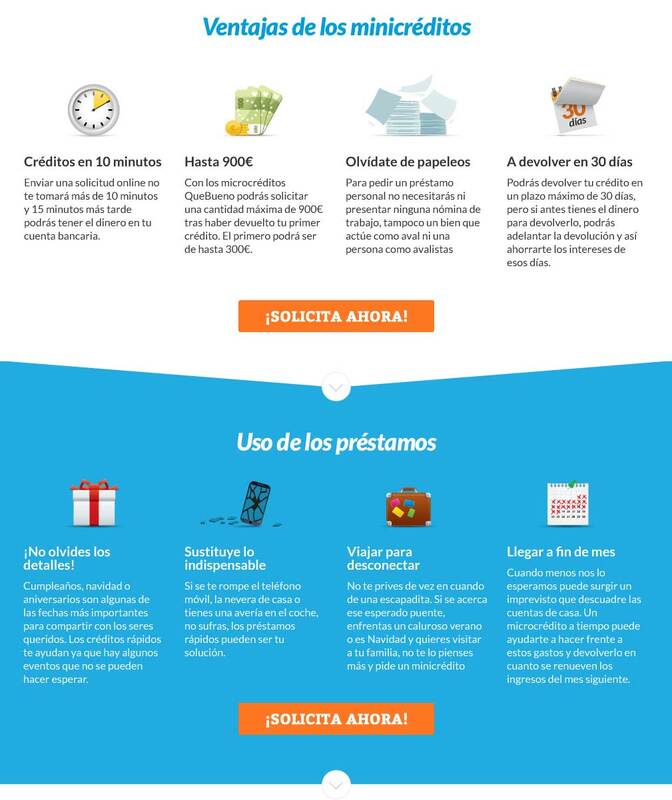 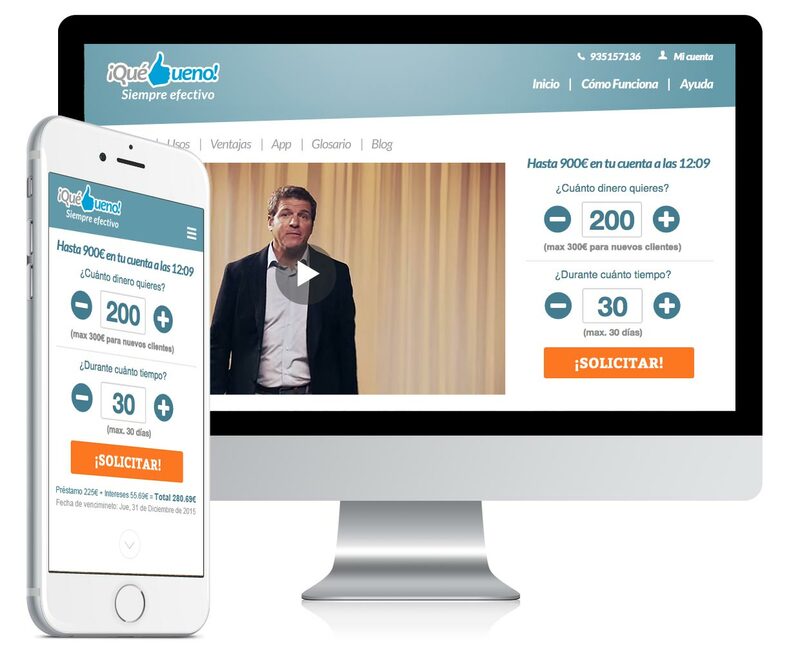 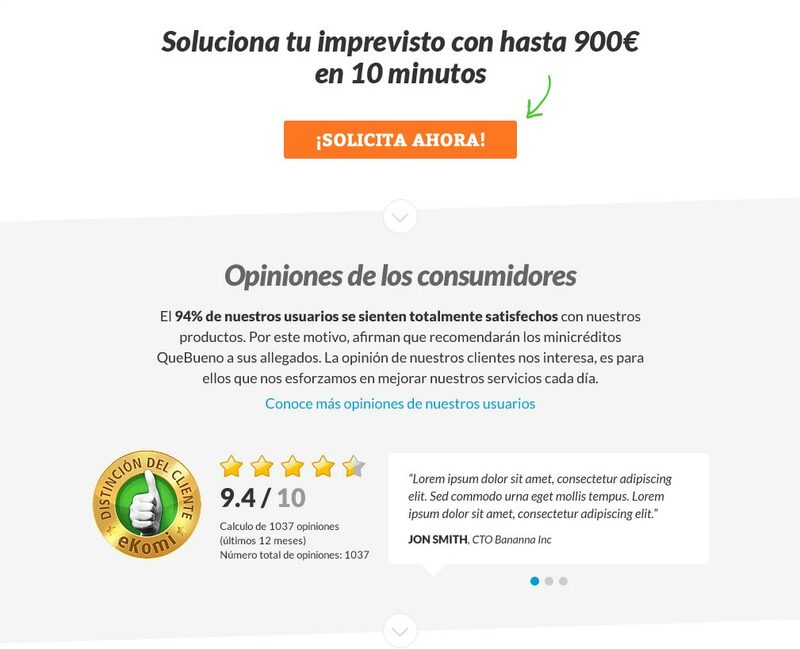 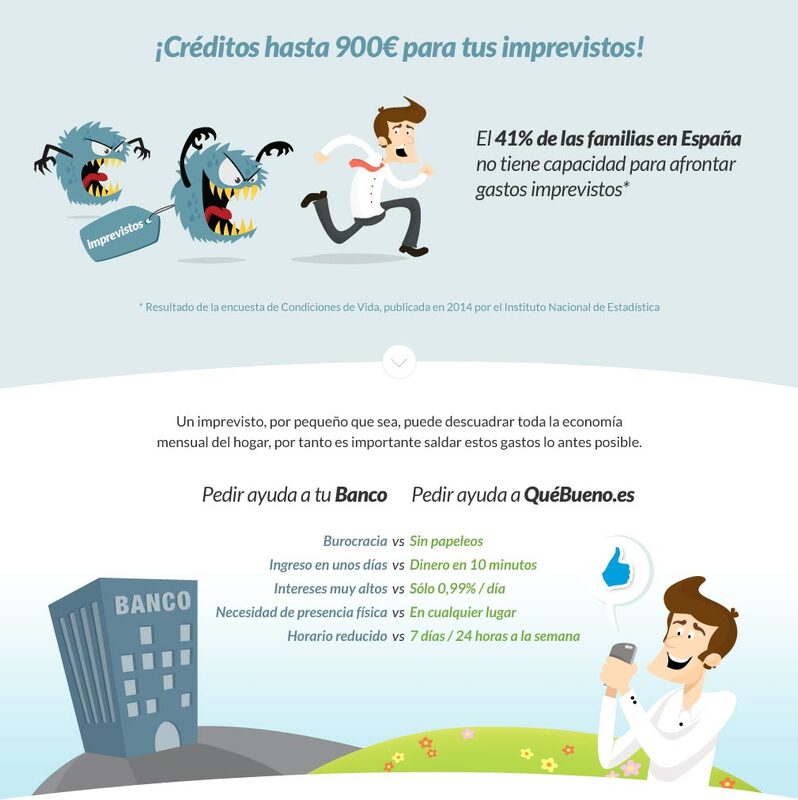 Create a landing page with a calculator for QuéBueno, a micro loans spanish company. 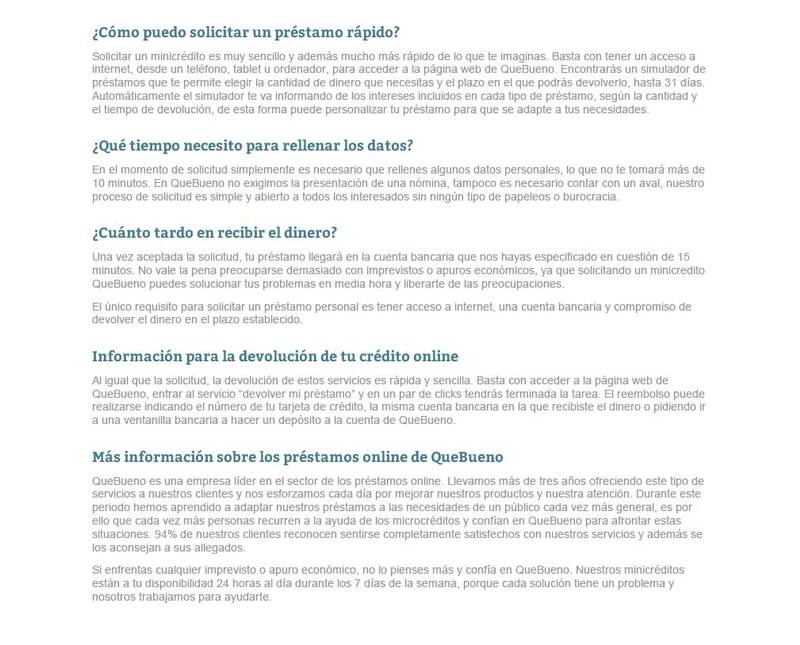 The calculator allows users to simulate the final loan amount based on the money needed and time to pay back. 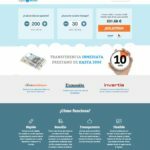 The Landing Page contains detailed information about the service and loans organized by blocks/sections.